I was preparing a print today to send off to the YPA for their upcoming auction and fundraiser. It was a portrait of blues drummer Sam Carr and it had recently been on exhibit in the Senate building Rotunda. The photograph was part of a personal project that I had embarked on over ten years ago: The Delta Bluesmen. The project consisted of environmental still portraits of the musicians as well as interviews of them that I had captured on video. This resulted in a short documentary and multimedia exhibition. I thought that it would be nice to include the DVD of the documentary as part of what I was offering for auction. While making sure that the DVD played OK, I got sucked into watching the full 20-minute piece. It had been a long time since I had watched this film and it struck me that all but one of the seven musicians in the film had died. At the time, I came up with the idea for that project, I really didn’t know why I wanted to shoot a project on these blues musicians – I just knew that I had to. It’s not like I was a super avid blues fan. I did love the music but I wasn’t one of those fans who could recite the “who’s who” in the blues world. I was interested more in the cultural background of these men and their music. What gave birth to that music in that part of our country at that time in history? I listened to the interviews of these men telling their stories about growing up as poor black men in the South during the 20’s and 30’s in America. Sam Carr talked about a time when a lot of the poor folks, up and left to get the good jobs in the North. I couldn’t help but feel the irony as I listened to Sam’s story and reflect back on our trip to Detroit this past winter. We were there to shoot our last and our only North American story for Opening Our Eyes. Those jobs that those poor folks headed North for – are gone. So are the neighborhoods they once called home – now just derelict ruins and vacant lots. I wondered what the future would hold for the city of Detroit and for the growing numbers of unemployed in our country. One thing did hit me though as I watched this film that I created so many years ago, and that that I had archived these stories for generations to come. That made me feel good and proud and that in my own small way I had helped to preserve that legacy. That’s more meaningful to me than just about anything else I can think of doing in my life. I believe that this is my purpose – to tell the stories of our time. That’s why I had to make The Delta Bluesmen – even though I had never done anything like that before. It’s the same reason that I had to do Opening Our Eyes. It took me a lifetime to realize my purpose and I am very grateful that I am able to fulfill it. This entry was posted in People Making a Difference, Photography, Video and tagged African American, archving stories. 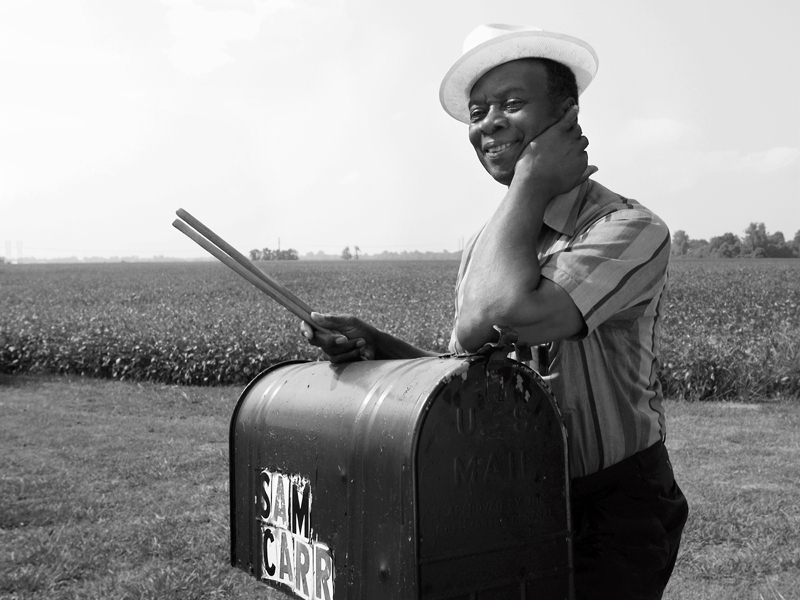 telling the story, around the world, cultures, discovery, documentary, excitement fear, inspiration, journey, legacy, making a difference, Mississippi Delta, musicians, passion, photography, Sam Carr, The Delta Bluesmen, video. Bookmark the permalink.